Introducing Magic Arch – another amazing photoshop template in our ‘Imagine’ collection of easy to use digital backgrounds for photography. Get your "Magic Arch" copy here. Unique and creative photos made easy. Compete with best photographs in the world. We have produced for you an Ultimate, easy to use photoshop template to add to your collection of digital backgrounds! 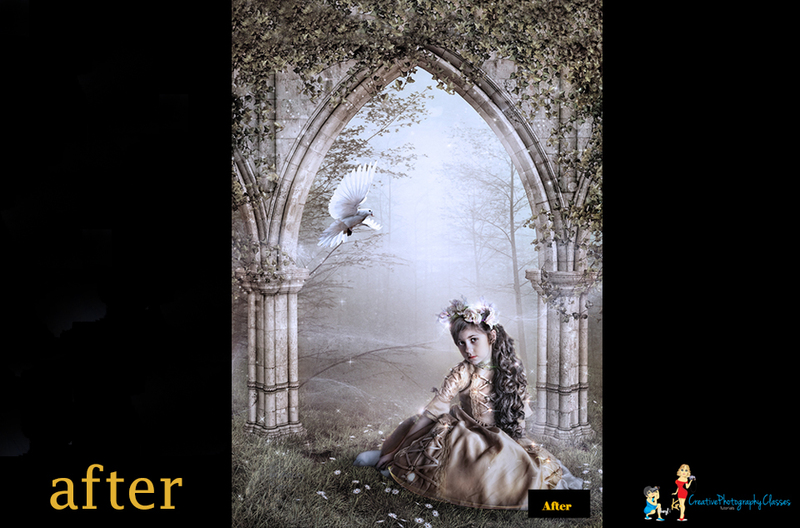 Why choose our “Magic Arch” - amazing photoshop template with easy to implement photoshop effects and embellishments. Using this template will take your photography to a high level within minutes. Ever wondered how the best photographs in the world were created and always thought it is beyond your reach? No more. Now you too can compete with best photographs in the world. Add unique and different flavours to your images quickly. It will make your images look like you spent hours on creating your art pieces. Only you will know how easy it was in reality to create something that magical. One template - hundreds of different images and combinations to WOW your clients! Fog, mist, butterflies, fairytale pigeons, stars, night sky and more! Stand out in the crowded market place no matter if you a beginner photographer or a seasoned professional. Save tons of money. Custom-made backdrops are expensive. They cost hundreds, sometimes thousands of dollars. Our templates are extremely affordable and you can use them time after time to create similar or completely different looks and moods. Create a fantasy image or something that couldn't exist in real life. Sometimes we just can’t be there. Sometimes we have the light, we have the subject, but the background is dull and boring. Sometimes we have magnificent light, but the subject is not there. Our beautiful template is an easy introduction into that scary world of digital compositing. Save time. Digital backgrounds save you lots of time by helping you streamline your post-production so you can actually spend more time shooting and marketing. Using this template will make creating composite images a lot of fun, instead of hours of slaving in Photoshop. Create wedding or portrait hero images in a few minutes that will look unique and magical. Learn enchanted photography. 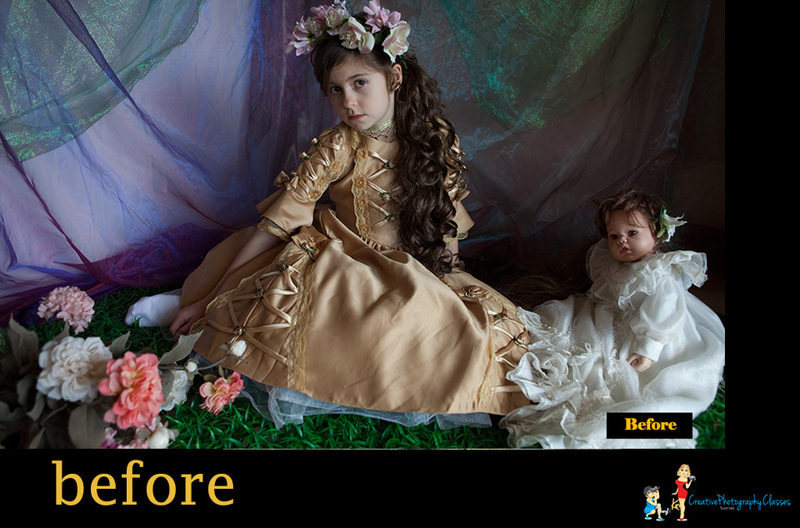 In a few easy steps create fairy tale images that will absolutely blow your clients away. Get your "Magic Arch" copy here. With our background you will also get two images with the same girl that was used in the video so you can practice and compare your results. Make sure you watch our Free tutorial on how to use this amazing photoshop background in a few easy steps. Watch how Kira creates her magical, fairy photography. Learn stunning, simple techniques. If you always wondered how to photoshop pictures and create photoshop effects the easy way, this awesome tutorial is for you.